This is a nice story: I just sold this album on eBay and the buyer emailed me to tell me the dude on the left is his Dad, that's why he bought the album. A nice story I think, lucky old Dad. I bet that was a fun day! Ok, it's probably a little too recent an LP to claim it to have changed my life...yet. I will however say that this LP has kept me indoors more often as I've been playing it so much. So it's contributed to a drop in Vitamin D in my system. But that's more than compensated by a boost in endorphins as well as a surge in insulin, because as the name suggests it's as sweet as it is brilliant. This is a finely honed album, crammed with fantastic songs very much in the classic Power Pop style of Jellyfish, Big Star and the usual suspects. But this record is so much more than I can illustrate here. The songs are so strong, filled with killer hooks and gorgeous vocals. It even features THE STRANGLERS HUGH CORNWELL, which could have put me off but I could not make him out anyway-so it's fine. 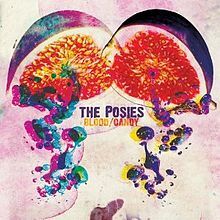 This is their 7th album, and if the others are as good then they must surely be a contender for band of the decade (or three). A truly classic album, which is only marred (on vinyl anyway) by a slightly flat mastering and/or cutting job, but it's good enough to play over and over and with songs so good, it's hard to fault anyway. Get it! 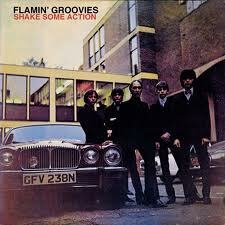 Great Albums: THE FLAMIN GROOVIES "SHAKE SOME ACTION" & BARRACUDAS "DROP OUT WITH"
THE FLAMIN GROOVIES "SHAKE SOME ACTION" - SIRE 1976 ALBUM. 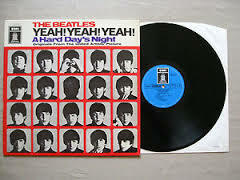 This is my first choice of a classic LP. 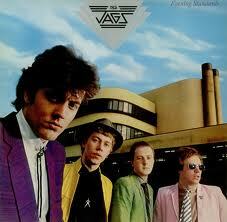 I first got into these guys as a 18-year old some years after this came out in about 1985. I think I must have found a copy cheap somewhere like Camden market in London. I was really into the whole retro 60s thing at the time and the cover looked interesting. 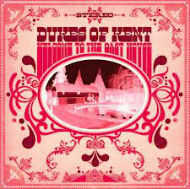 Inside there is a bevy of great songs, very much in a Beatles & Byrds style. There are some killer Power-Pop classics such as the title track, I CAN'T HIDE & YOU TORE ME DOWN. The band had a good following in Europe and the album is considered a classic of the genre. 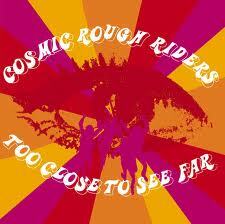 The band had been around since the mid sixties in San Francisco. 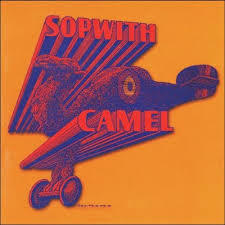 The recorded a couple more albums for Sire after this (both also classics) but sort of fizzled out in the early 80s but have continued with sporadic recordings and appearances since then. 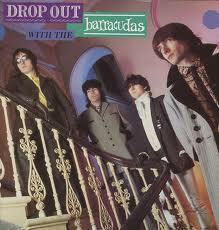 THE BARRACUDAS "DROP OUT WITH" EMI 1981 ALBUM, this great LP came hot on the heels (well sort of) of their 1980 top 40 Uk hit SUMMER FUN. Formed in London the band's sound was a manifiestation of band leaders Robin Wills' and Jeremy Gluck's obsession and love for 1960s music. A cool blend of Garage, Surf, Folk Rock and Punk this album is one of the very best the Psychedelic Revival of the early 1980s. There is of course a Flamin Groovies connection too as Chris Wilson joined the Barracudas around 1982, appearing with them on their two susequent, and essential, LPs both on the French Closer label. The band had (and has) a huge following in France as well as Spain touring there many times. 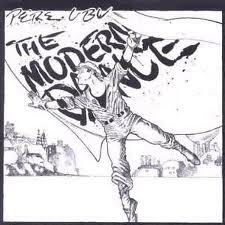 Robin Wills writes his great blog Purepop1, dedicated to obscure Glam & Powerpop 7"! From the Terrascope Website: Click here. Readers with long memories will no doubt recall me unreservedly recommending the countryfied jangly power-pop delights of The Silent's Blue's debut six-song LP 'Tune In' back in issue three of the Ptolemaic Terrascope in 1990. I'd long since finished writing for Bucketfull of Brains magazine by that stage and honestly can't remember whether they similarly endorsed the album, but I can't imagine it would have been awarded any accolade less than "record of the month" over there, as the band fit their oeuvre like a musical glove, guitarist Markus Holler even having done a stint with the Fortunate Sons at one time, whereupon he was replaced by former Flamin’ Groovy Chris Wilson. Which was about as close to sainthood as it’s possible to imagine round at Bucketfull HQ in the mid-eighties. I notice that latterday editor, Nick West, also gets a credit in the sleevenotes. It all starts to make sense. Well, they're back - or at least Markus Holler most certainly is, along with Chris Gussman and Pablo Videla on drums plus Iain Rae on piano, the latter (Rae, not the piano) being ex-Gallagher & Lyle. Which says a great deal for the melodic musical fayre on offer here: nine tracks chock-full of chiming guitars, shimmering harmonies and West Coast licks with influences ranging from the Byrds through Crazy Horse to Tom Petty and Joe Walsh: a melting pot of pop,rock, psych and folk with great gobs of swirling guitar which will assuredly set feet tapping and shims shimmying, to lapse into engineering argot for a moment or two.